A batch of turkeys raised at an upstate New York farm and sold to customers in the Catskills and New York City won’t make it to the Thanksgiving table after all. Fleisher’s, the 11-year-old craft butchery founded in Kingston, notified about 75 customers last night and this morning that there may be a problem with their $8/pound birds sourced at Hidden Camp Farm in Canajoharie. The affected birds were ordered online or by phone for pickup at the Kingston and Brooklyn butcher shops, as well as the company’s two Connecticut locations. Customers whose turkeys were identified as potentially belonging to the problem batch were contacted by email and phone and invited to exchange their turkeys or receive a cash refund, according to a company spokesperson. As of this afternoon, Fleisher’s had not received any reports of illness and said the birds did not pose any health danger to diners, presuming they were cooked to appropriate temperatures as is always recommended, she said. Hidden Camp Farm raised about 4,000 turkeys at its Montgomery County organic farm this year, said Ruth King, who owns the farm with her husband John. Those sold to Fleisher’s, all broad-breasted whites, were processed at Root 162, a one-year-old New York State licensed slaughterhouse in nearby Sprakers, she said. Root 162 owner Clint Layne said today that the birds were all properly processed and stored while in his care, and that he was unaware of any quality problems or concerns at his plant. Fleisher’s email instructed customers to call a hotline (718-971-5331 extension 1) right away if their turkey came from Hidden Camp Farm and fit the processing date window, or was not labeled with a date. Turkeys from the same farm processed at the same plant before and after those dates were not affected, the email said. 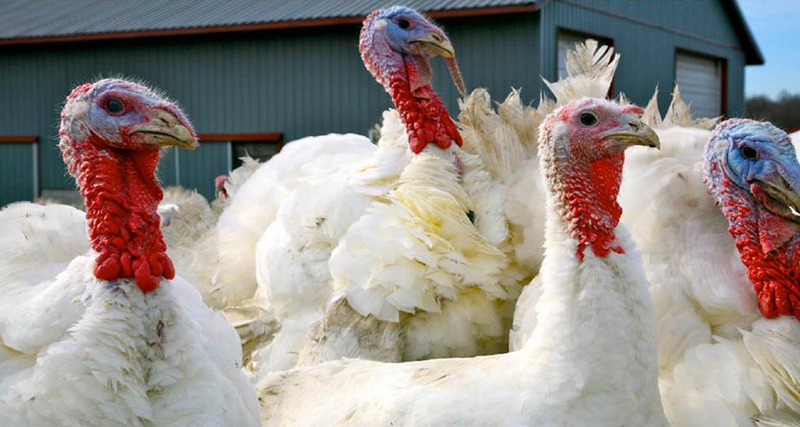 Turkeys sourced from other farms and sold by Fleisher’s were also unaffected. Fleisher’s sources all of its meats from family-owned farms, many of them in upstate New York. The company also offered heritage-breed turkeys this Thanksgiving. Callers phoning in to the hotline were told that Fleisher’s in-house butchers had noticed an “off smell” while working with the birds, and pinpointed the problem to that specific two-week processing window. Layne said he and his plant followed all proper procedures for poultry processing. The turkeys are cooled to 40 degrees before Hidden Camp picks them up, he said. “The farm has control of them from then on,” Layne said. “I don’t know how they were handled by the producer, and I don’t know how they were handled by Fleisher’s,” he said.